aiSource’s CTA Database collects data on the industry’s leading managed futures programs and CTAs. Free access to the database is available to all investors. All of the CTAs in our database have been carefully reviewed by the team here at aiSource. We do a thorough due diligence before adding any CTA to our database, and we bring you our pick of the best CTAs in the industry. Add CTAs you’re interested in to your watchlist, where you can track their current and historical performance in a clean, graphic interface. Move CTAs from your watchlist to your portfolio with the click of a button. Compare CTAs at a glance with our dashboard, or go more in depth with detailed performance reports. Check correlation with other CTAs so that you can optimize your portfolio’s diversification. Get up-to-date analysis of each CTA’s performance. Our database search gives you complete control. 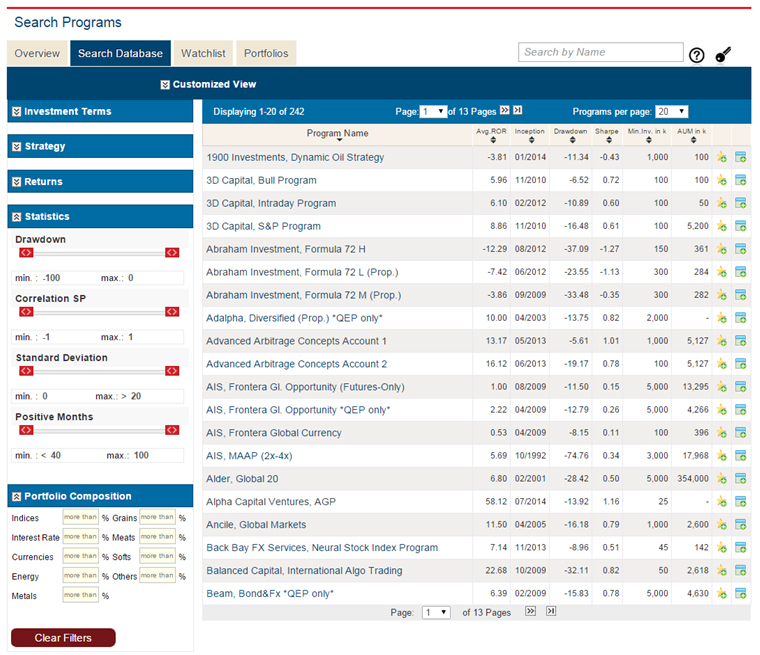 Search CTAs by Investment Terms, Strategy, Returns, and Statistics. You can specify your correlation SP, standard deviation, the number of positive months, and more. Want to keep track of your whole portfolio or compare your managed futures with your other investments? 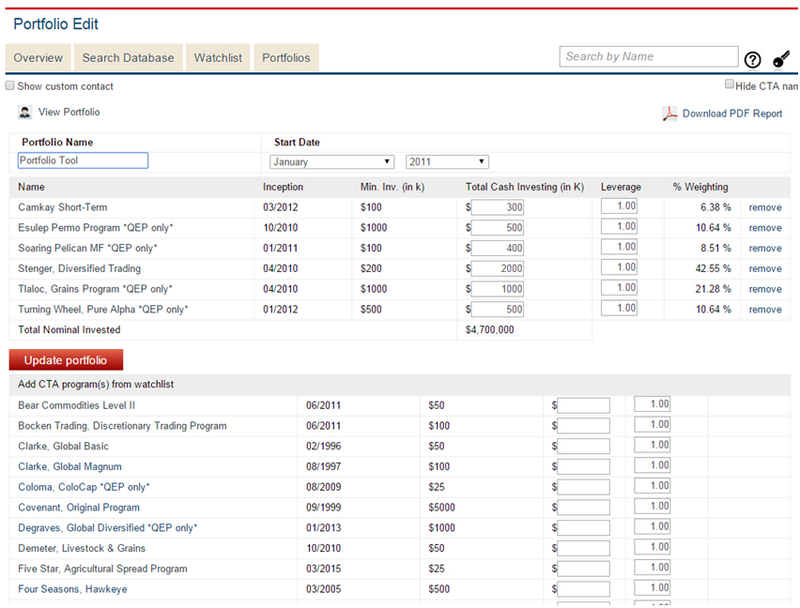 You can upload Excel documents with your stocks and mutual fund information so you can compare everything in one place.